CHIANGMAI , THAILAND -JUNE 3 2015: Dump truck of Thanachai Company. 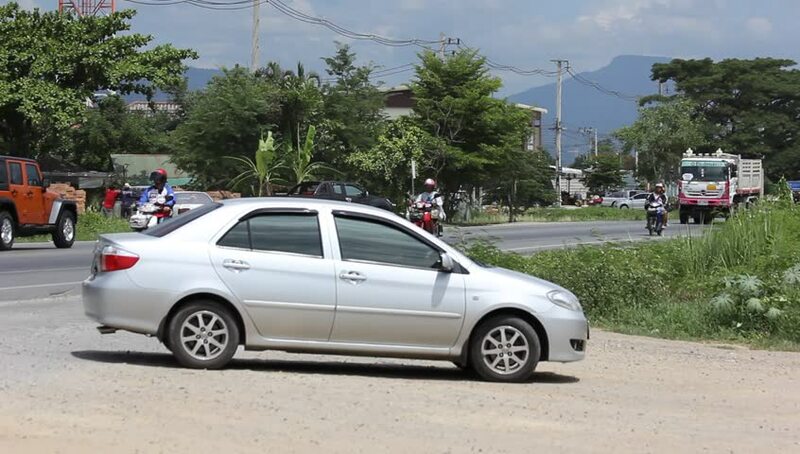 Footage at road no.1001 about 8 km from downtown Chiangmai, thailand. hd00:10CHIANGMAI, THAILAND - MAY 19 2016: Private Suv car, Isuzu Mu-7, Mu7. Clip at road no 1001 about 8 km from downtown Chiangmai, thailand. hd00:09CHIANGMAI, THAILAND - MAY 9 2016: Private car, Toyota Vios. Footage at road no.121 about 8 km from downtown Chiangmai, thailand. hd00:10CHIANGMAI, THAILAND - MAY 9 2016: Private car, Toyota Vios. Footage at road no.121 about 8 km from downtown Chiangmai, thailand. hd00:19Chiangmai, Thailand - September 28 2018: Chiangmai Airport Taxi, Service for Passenger from Airport. On road no.1001, 8 km from Chiangmai city. hd00:12CHIANGMAI, THAILAND - MAY 19 2016: Private Suv car, Isuzu Mu-7, Mu7. Clip at road no 1001 about 8 km from downtown Chiangmai, thailand. hd00:10CHIANGMAI, THAILAND - MAY 9 2016: Private Eco car, Suzuki Swift. Clip at road no 121 about 8 km from downtown Chiangmai, thailand. hd00:10CHIANGMAI, THAILAND - MAY 19 2016: Private car, Nissan Sunny. Clip at road no 1001 about 8 km from downtown Chiangmai, thailand. hd00:14CHIANGMAI, THAILAND - MAY 22 2016: Private car, Toyota Corolla. Clip at road no 1001 about 8 km from downtown Chiangmai, thailand.